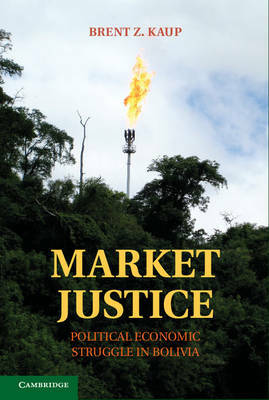 Market Justice explores the challenges for the new global left as it seeks to construct alternative means of societal organization. Focusing on Bolivia, Brent Z. Kaup examines a testing ground of neoliberal and counter-neoliberal policies and an exemplar of bottom-up globalization. Kaup argues that radical shifts towards and away from free market economic trajectories are not merely shaped by battles between transnational actors and local populations, but also by conflicts between competing domestic elites and the ability of the oppressed to overcome traditional class divides. Further, the author asserts that struggles against free markets are not evidence of opposition to globalization or transnational corporations. They should instead be understood as struggles over the forms of global integration and who benefits from them.